The Miller family’s farming and ranching legacy dates to 1871 when William Richard Broome purchased the Rancho Guadalasca land grant in Ventura County. The “Thornhill” Company is named for William Broome’s son, Thornhill Broome. After Thornhill Broome’s passing in 1946, the next generation inherited the ranch. 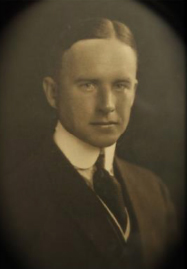 Elizabeth Broome Miller, the third generation of the Broome family and her husband, Captain Robert Miller III had four children including Stephen Thornhill Broome Miller, the current CEO & President. Steve’s sons, Marshall and Nicholas, represent the fifth generation of farming. while maintaining a core focus on estate vineyard holdings.